The 14 November was an important day for the Sheffield region, South Yorkshire, the wider Northern Powerhouse, and indeed for the UK and its modern Industrial Strategy. 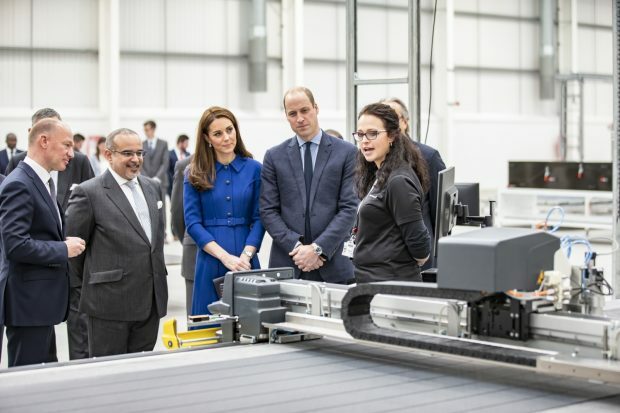 It was an honour for myself and all of the 2,300 people at McLaren Automotive to invite The Duke and Duchess of Cambridge and His Royal Highness Prince Salman Bin Hamad Al Khalifa, the Crown Prince of The Kingdom of Bahrain, to officially open our new £50m McLaren Composites Technology Centre (MCTC). Ideas, people, infrastructure, business environment and places are the five foundations of the UK Industrial Strategy which was published one year ago this week. The MCTC encompasses all of them. The MCTC is first and foremost an innovation centre, turning ideas into strong commercial products, in close collaboration with academia. It is no coincidence that the lamp posts our Royal guests drove along on their way to open our second-ever facility were adorned with ‘Innovation is GREAT’ branding. We are clear; we want the MCTC to be a world-leader in what it does. 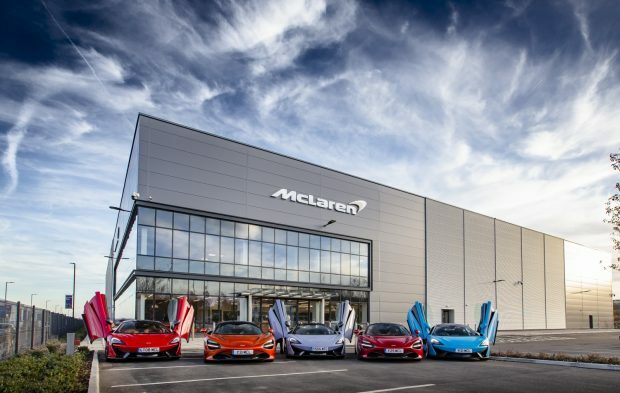 Places such as the Sheffield region’s Advanced Manufacturing Innovation District is an ideal place for McLaren to invest. It allows us to leverage existing strengths to also stimulate infrastructure investments that actively support long-term productivity. We are proud to be bringing over 200 new jobs to the Sheffield region which has a long association with advanced materials; first with steel and now a future to look forward to with carbon fibre. Carbon fibre has long been part of the McLaren story. In 1981, we designed, built and raced the first ever Formula 1 car from carbon fibre. It became the industry standard. It is stronger than steel and crucially for our purposes where lightweight and vehicle agility go hand-in-hand, lighter too. It is for that very reason that we believe has increasing relevance to our world today and to future advances in the automotive sector, and possibly beyond that. Advancements in materials and manufacturing are key to the success of the UK's Modern Industrial Strategy and the MCTC aims to lead in the innovation of advanced materials for future mobility that will help answer the wider transport and technology challenges we face. The automotive industry has always been a sector of fast development. Since the invention of the internal combustion engine, car manufacturers have demonstrated their ability to adapt and to deliver incredible innovations which have made vehicles cheaper, lighter, stronger, safer, cleaner, faster, and – like our own sports cars and super cars - more luxurious. Delivering alternative powertrain solutions towards zero emission, vehicle connectivity and autonomy are key elements of the journey. The solution lies in the development and adoption of advanced lightweight materials. This requires significant simplification of vehicle structures and more efficient packaging options, while reducing overall vehicle weight. This is critical for future vehicle platforms, in which electrification is expected to play a major role, both for niche and volume makers. 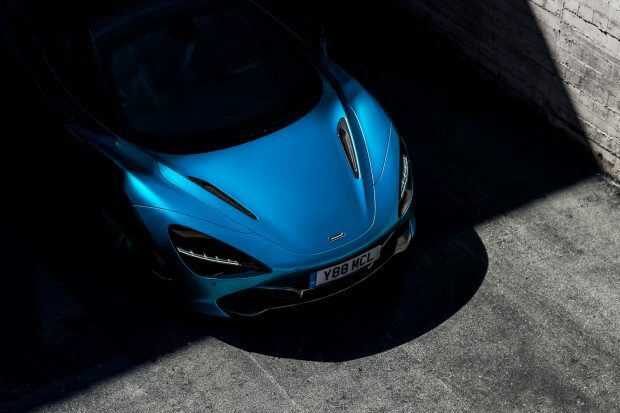 As the company that developed the world’s first hybrid hypercar six years ago with the iconic P1TM, we know first-hand that batteries and future powertrains are heavier than traditional petrol-based engines. The opening of the MCTC effectively fires the starting gun on the ‘weight race’. The old ‘power race’ with ever bigger, thirstier and heavier petrol engines is well and truly over. Under our Track25 business plan, we are planning for 100 per cent of our sportscars and hypercars to be hybrid so the innovation that goes on at the MCTC will be vital in our ability to deliver on those ambitions. It’s my belief that, through facilities like the MCTC, with a joined-up policy landscape that makes the natural link between lightweight and future powertrain as almost two halves of the same whole, Britain can become a world leader in lightweight materials technology that will help create more efficient future vehicles for use the world over.